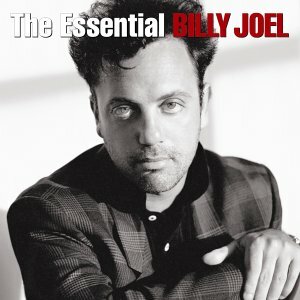 This is a YouTube playlist of the songs on The Essential Billy Joel, containing video and audio clips. Click on the icon in the upper left corner to see list of songs. The Essential Billy Joel was released in 2001 around the same time that Billy's classical music album, Fantasies & Delusions, was released. While some fans complained that The Essential Billy Joel was either redundant of earlier compilations or did not really contain "essential" songs, the 2-CD set was a good starter set for those who did not have any or many Billy Joel albums. 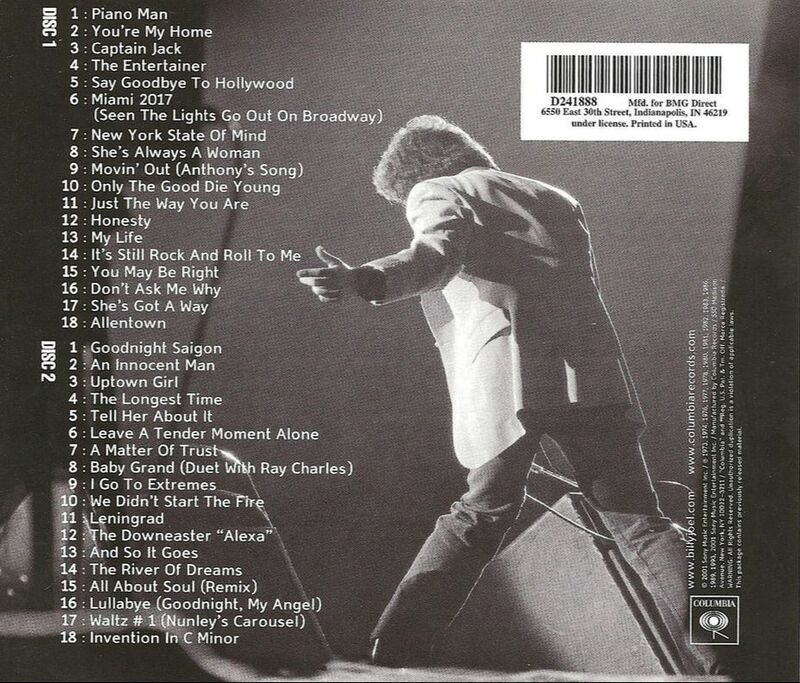 The "Essential" albums were part of a series of "Essential" compilations that Sony Music released for a number of legendary artists such as Bob Dylan and Bruce Springsteen. There really was not a need for this collection since there was already Greatest Hits I, II and III, but since Sony Music was creating an "essential" collection for top artists, Billy was a natural choice. 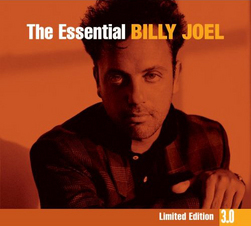 Seven years later in 2008, a new version of this album was released with a third disc, and was named The Essential Billy Joel, Limited Edition 3.0. 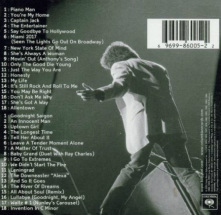 The third disc contained seven songs that were not included earlier, most notably "Scenes From An Italian Restaurant," which any fan or critic would certainly include in an "essential" collection of Billy's songs. It's curious why "All For Leyna" was included because it was not a hit nor considered essential. It is great that they included "Worse Comes to Worst," which is underrated. It's also curious why only seven songs were included in the third disc. Some additional songs that could have been added are "Summer, Highland Falls," "Vienna," "Rosalinda's Eyes," "Until The Night," and "Keeping the Faith." I'd recommend this only for the casual fan who wants most of Billy's hits, but does not want to pay for The Complete Hits. One might have thought that they could not have come out with yet another collection after this, however, Billy Joel: The Hits was released in 2010. The ostensible justification for that collection was that a single CD collection of Billy's hits was needed to fill a gap in his oeuvre. But the only real gap is a tribute album and, of course, an album of new songs. In 2001 Billy also did a series of master classes again, and his class at Irvine Auditorium at UPenn was broadcast by A&E Network as "Billy Joel: In His Own Words." In this excerpt, he discusses the inspiration behind "Miami 2017." Billy Joel on Charlie Rose from 2001, just before the Concert for New York City.